My dear friend Bill, who works with me at a local community college, is quite the raconteur. He counts among his many brushes with greatness such luminaries as Jacqueline Kennedy, Garrison Keillor, and many Baseball Hall of Famers. 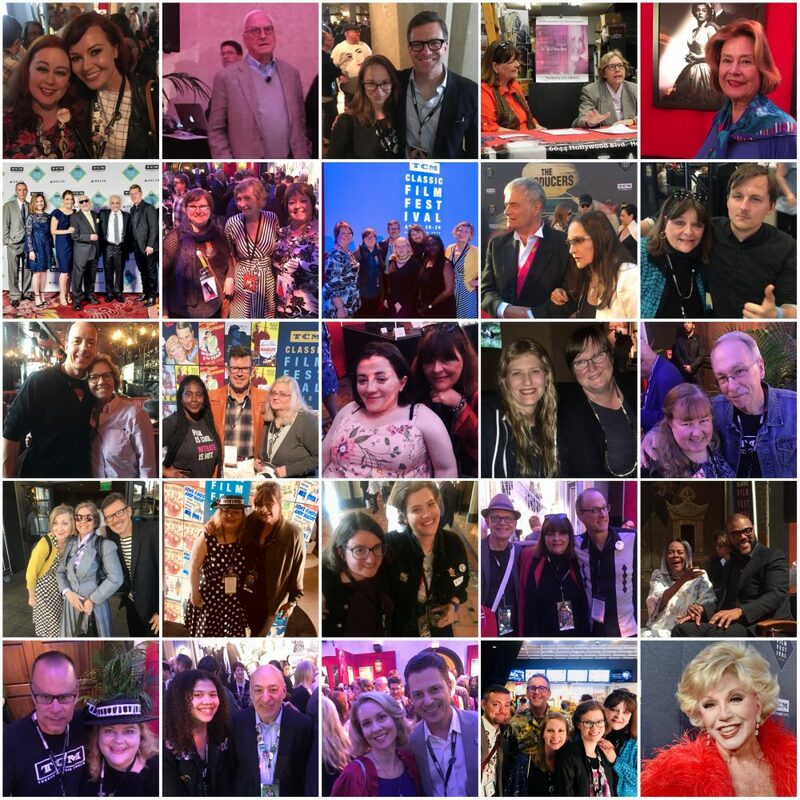 But I managed to wheedle and whirl such a travelogue of Hollywood lore from his vast internal landscape that some of it cannot be recounted due to the licentiousness of its nature…. But during the summer of 1954, young Bill, who was sixteen going on seventeen ( and don’t cue Rodgers & Hammerstein yet, please), found himself lured to Glacier National Park in Montana by Minnesota friend and entrepreneur Hugh Black to work at St. Mary Lodge and Resort, built by Black and his burgeoning consortium around 1937 just outside the entrance to Glacier National Park shortly after Black discovered he was not being employed by the National Park Service any longer. The original section of the lodge before remodeling is the whole block to the right of the center supports in the pictured structure of the current St. Mary Lodge, in St. Mary, Montana. As Bill shortly discovered during that summer, a film company from Hollywood (RKO) had just arrived to begin work on Cattle Queen of Montana. 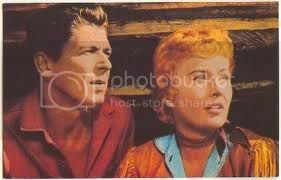 Barbara Stanwyck and Ronald Reagan were the stars of the film, and they were housed in St. Mary’s Lodge, the building which also included the restaurant for most the film’s principals and the director, Allan Dwan, immortalized in Peter Bogdanovich’s Who The Devil Made It, and responsible for bringing such classics to the screen as Rebecca of Sunnybrook Farm (1938), The Three Musketeers (1939),Sands of Iwo Jima (1949), and Robin Hood with Douglas Fairbanks (1922). 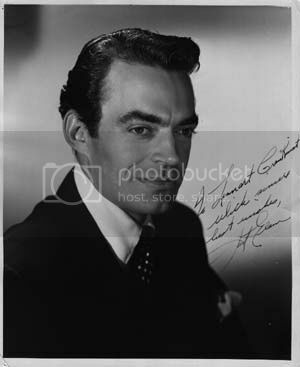 Extras, crew, and other actors, like Jack Elam, were housed in several motel units, and would venture forth for meals to the restaurant located in the main lodge. During that summer, Bill had several responsibilities and did all kinds of jobs all over the property, and fondly remembers trips on the old “gear-strippers” as they were then called. 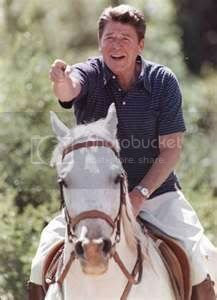 Bill also fondly remembers Ronald Reagan, and how he was always ” out and about,” because if Reagan wasn’t riding a horse all around the beautiful property or in the park, he would walk and take in the scenery, always chatting gregariously with the crew and resort staff, and loved to be out of doors. Bill broke into a wide grin when he remembered Ronald Reagan. “He didn’t like to be riding around in the company cars because he would rather be riding the range on a horse or going for a hike, and he was very comfortable in the saddle, unlike some of the other film actors who frequented the resort,” Bill stated. Back at St. Mary’s Lodge and Resort, my friend Bill seemed amazed that at the tender age of 16 that he had been thrust into the midst of an RKO film location, but he accepted his surroundings, and went about his duties near Glacier National Park. At the cozy lodge restaurant, they mainly served steaks and roast beef secured from the Pendergast Ranch, where most of the cattle scenes had been recorded. Most of the film crew would go to the dining room for their meals, but Barbara Stanwyck was rarely seen there. Bill supposes that she had many meals sent to her suite. 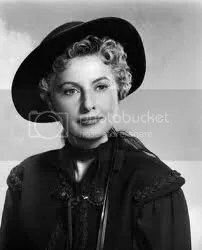 As for those horsebackriding scenes, Stanwyck was obviously proud of her prowess and courage, according to Axel Madsen’s biography,[b] Stanwyck[/b]. 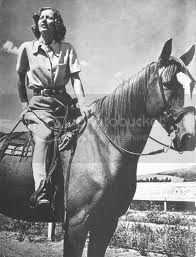 But Stanwyck also had back trouble, and Bill claims that she was much “bumpier” in the saddle than Ronald Reagan that summer in Montana, and he stated that she “looked” like a greenhorn in the saddle compared to Reagan who seemed “like he was sitting in a rocking chair” while riding in a Western saddle. As for Allan Dwan, about seventy years of age during the Montana shoot, Bill knew he was around because if he had ordered something done, staff was rushed into service to meet the demands, but he sheepishly admitted that ” If I saw him, I wouldn’t have known him from a hole in the wall,” and that’s not such a surprising revelation coming from someone who was only 16. Many of the young teenagers spending their summers at St. Mary’s Lodge and Resort came to earning money money for college, and 17 or 18 of those students had arrived from a seminary in St. Paul, Minnesota, hometown of lodge proprietor Hugh Black. “That summer for some of those seminary kids was a real eye-opener,” and especially for one young lady that Bill remembers. “Some of those folks were pretty wild and rowdy, and one young lady from the seminary school was even afraid to go and clean their rooms because she was afraid that she might get pregnant or catch some sort of incurable disease.” But such crises were averted as other staffers volunteered to take those dangerous custodial duties. 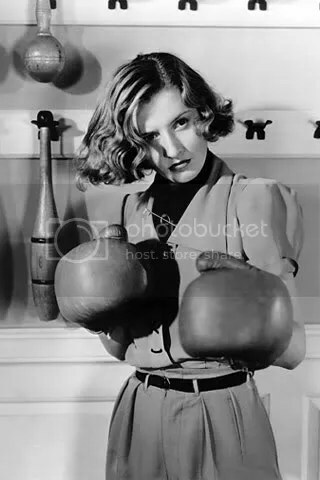 Barbara Stanwyck wasn’t the type to shy away from anything, but Bill’s encounter during that summer of 1954 revealed that she was quiet, kept to herself and her rooms, but still did most all of her stunts.